When I'm creating a new account for something online, I tend to check first if the username "Pride" is available. It's my username here on Blogger for example. My little brother who's 12 can be very inquisitive. Once, while looking over my shoulder at my phone, he asked me why I was called Pride. I went on to explain that I like to choose usernames that remind me of things I want to think about. I think I would go as far as to say that, in recent times, the word pride has been hijacked (please hear me out). It's often used to describe a movement associated with people who identify as LGBT. When we think of pride, we think of self-empowerment, and about fighting off oppression, judgement and stigma. It unites a marginalised group. Pride is not a good thing. It's actually a part of me that I have struggled against for much of my life. It is the opposite of humility. When I see genuine humility in others, it is refreshing. It makes that person more approachable. It causes me to want to emulate them. I want to emulate that quiet contentment in who they truly are. Instead of presenting a caricature of themselves that is self-determined and invincible, they present themselves as someone with gifts (which have been given to them), and flaws, and none of these things bear any relation to their sense of self-worth. But pride is the opposite of that. When I notice I've fallen into pride again, it's because I realise I want others to see me in the limelight, or in some sense, to see me as the source of that light. It is an arrogance. It is a blind patriotism. It is to say, "I am great, I am beautiful, and therefore I am valuable." But although this is a commonly believed train of thought in our individualistic societies, it is not reasonable. We simply ignore the important underpinning questions, like Who am I? and Why does my life have actual value? and instead, follow an illusion we know is false, because it makes us feel good. Taken from Wikipedia. 2014 British LGBT-related historical comedy film. 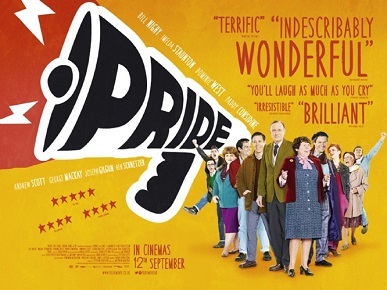 One reviewer says that Pride is "indescribably wonderful". I think pride is one of the worst things about people. Yet, here it is celebrated. My username is Pride, because I want to be reminded of the opposite, which is to perceive truth. I get the impression my little brother didn't really understand this explanation. This was an amazing read! The fact that you call yourself a name that goes against what you mean as a reminder of what not to be, is brilliant in my opinion. You're very kind. Thank you, sir.